Things are going to be a little quiet around the city this weekend due to Winter Storm Jonas. I was going to suggest going to see the new baby panda, Bao Bao, at the Smithsonian National Zoo but the potential snowfall is putting a stop to that. Despite the fact that we will all likely be trapped indoors for at least one day, here are a couple of fun things happening this weekend that Jonas can’t take away from you. At this very moment there is a crowd-sourcing poll circulating to determine exactly when the epic snowball fight will take place and anyone can vote on Washington DC’s Snowball Fight Association’s (yes that’s a real thing) Facebook page. They’ll keep you up to date but here is what the events page says. 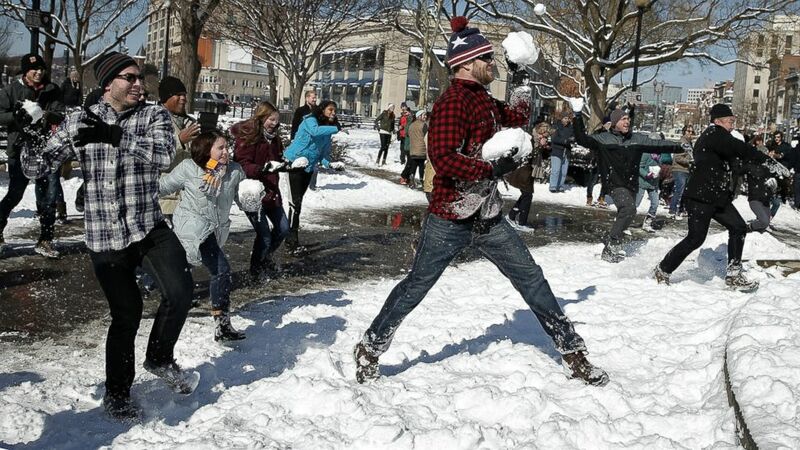 “DCSFA invites you to Dupont Circle Park this weekend for SNOW WARS: THE SNOWBALL STRIKES BACK! We provisionally scheduled the main event for Saturday at noon…But we now want your feedback on whether to have a PRE-GAME battle for die hards on Saturday (in the midst of the blizzard), as well as a MAIN EVENT on Sunday morning. We’re big Star Wars fans, and if you are too, bring your outfits and get into character as you engage with Storm Troopers, Jedi, Vader and maybe even some Ewoks! We also welcome Trekkies and other space-themed combatants (think Guardians of Galaxy, The Martian, and as an homage to Bowie, some Ziggy Stardusts as well! ).” Get more info from their Facebook page, here. In case you can’t make it to Dupont Circle Park, you have a second option. The “Malcolm X/Meridian Hill Park Snowball Showdown” is scheduled for Sunday from noon to 3 p.m. The word on the street is that depending upon the date/time consensus for the Dupont Cirlce Park crew, there could be a show-down between them and the Meridian Hill crew. I guess we will have to wait and see. Designated one of the nation’s top five auto shows by the International Organization of Motor Vehicle Manufacturers, The Washington AutoShow®, a world class event, continues to wow audiences with its cutting-edge exhibits, latest model cars and displays of historic vehicles. Along with the engineering prowess on display among the more than 700 new models from over 42 manufacturers, the 2016 show will feature VIP tours led by award-winning automotive writers and a special exhibit area for live painting of “art” cars. As a bonus, there will be onsite visits from sports personalities and mascots, a Family Fun Zone and a beer garden, presented by Samuel Adams. Tickets are only $12.00 and there are some pretty cool events taking place. So far the event will be running as scheduled, you can keep up to date on possible cancellations and get your tickets, here.